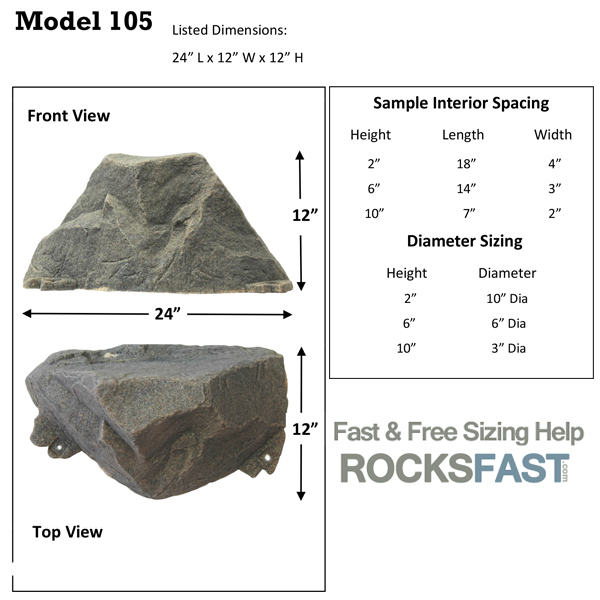 The DekoRRa Model 105 Mock Rock is a great little rock cover that can also be used as a house address rock. 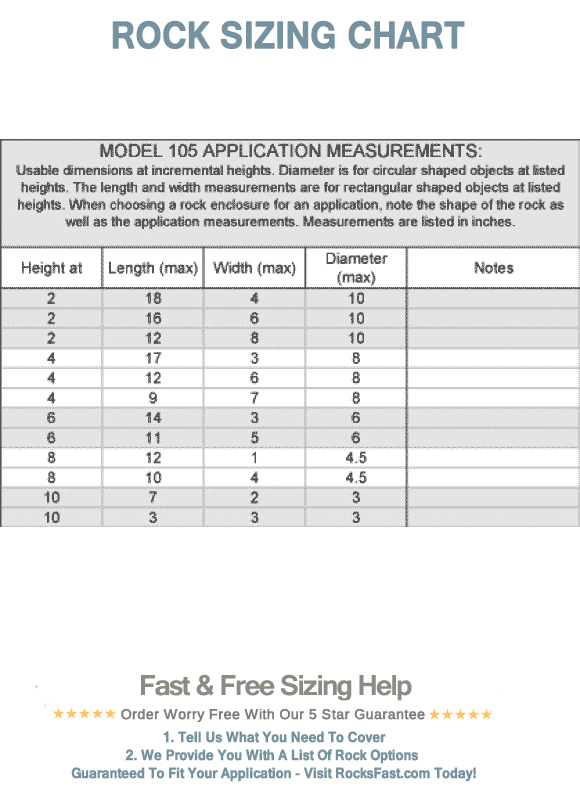 The DekoRRa Model 105 Mock Rock is a little bit special. 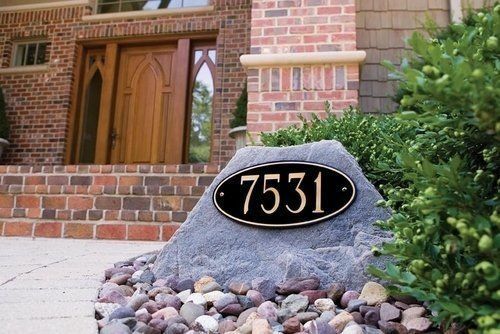 It’s a wonderful little hollow rock suited for hiding smaller items, plus it’s the perfect shape for mounting one of our gorgeous custom engraved house address number signs. 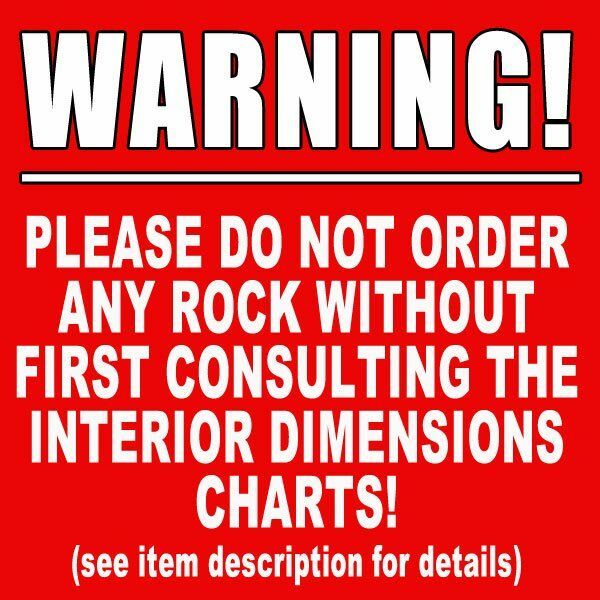 Please Don’t Forget Vents and Insulation: Vents allow air to flow through the rock. 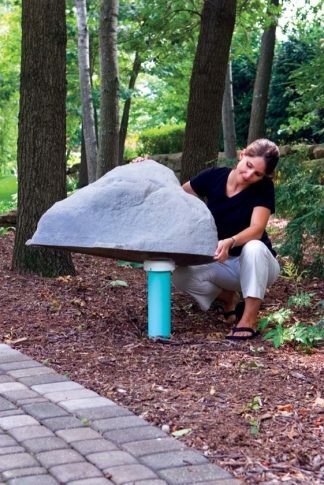 Venting can be crucial if you are covering anything with an electric motor or certain types of septic applications. 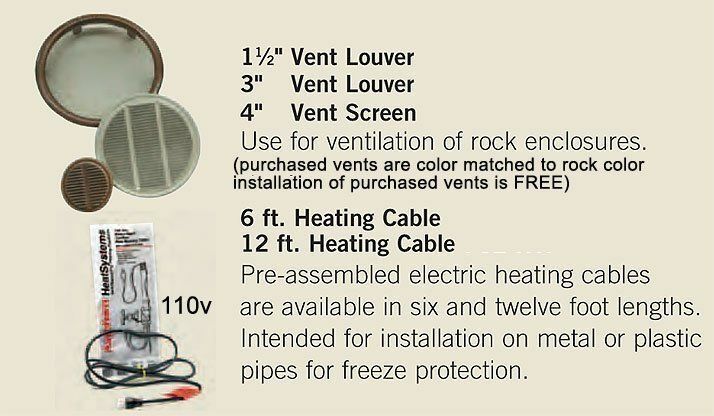 Install is FREE and the vents are color matched to the selected rock color. 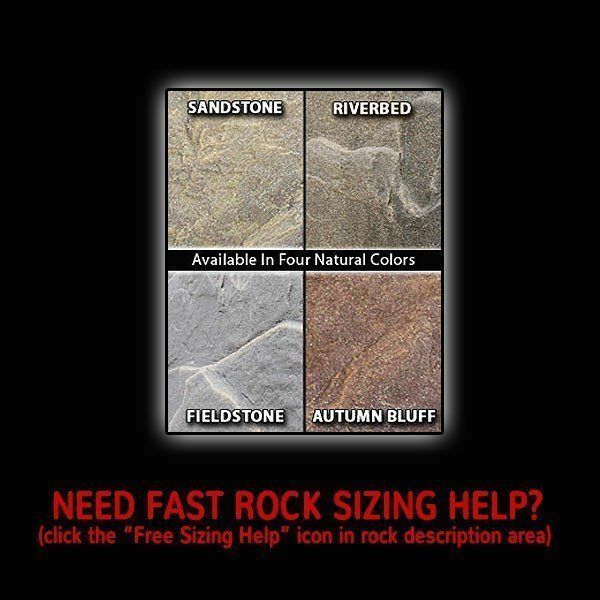 If your application requires insulation you can add an insulated bag or the Pro-R interior insulation coating (Pro-R is only available with Riverbed colored rocks). It’s the perfect marriage of realistic textures and colors that mimic the real thing with jaw-dropping perfection. While super realistic right out of the box, within reach of mother nature the textures and colors become increasingly natural as they weather and endure the elements. In fact “fake” is a bit demeaning. The patented manufacturing process molds specially formulated polymer resins infused with U.V. inhibitors. 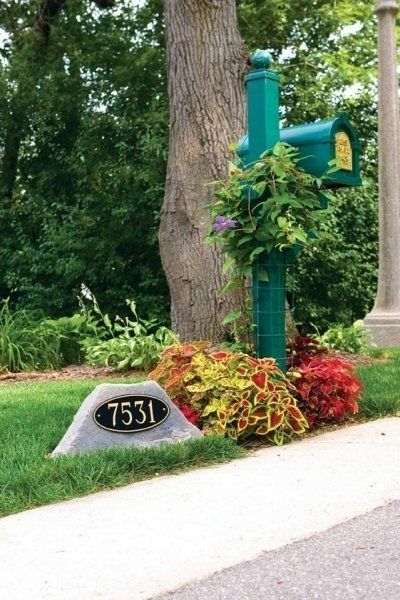 These are professional grade lawn and garden accents designed to add lasting flavor and curb appeal to any property while providing protection for the objects they enclose. 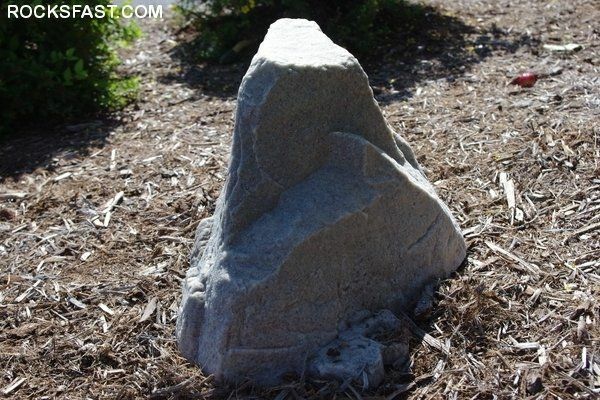 Let’s face it, the last thing you want in your yard is an artificial rock that looks plastic and unnatural. 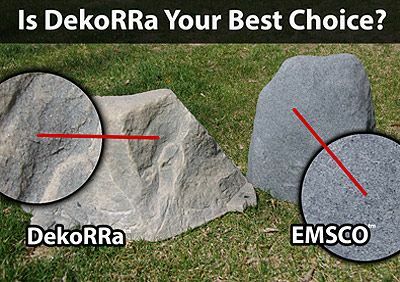 With DekoRRa you’re getting the best, most durable and realistic products available! No other manufacturer even comes close! 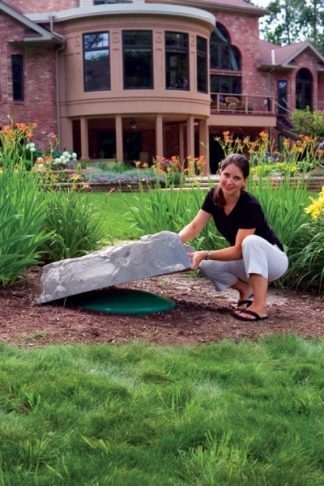 – Made GREEN in the USA with 100% recycled materials. 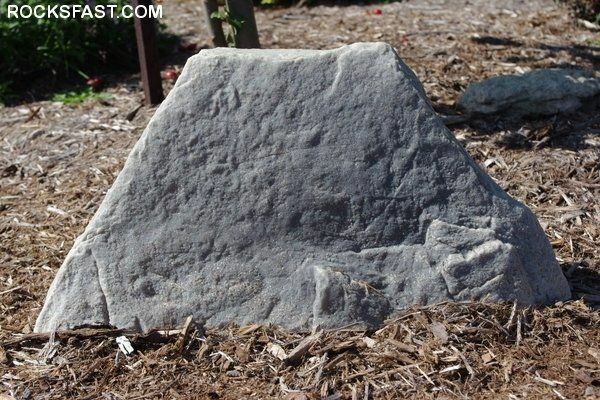 – Hollow rock design makes placement fast and easy. 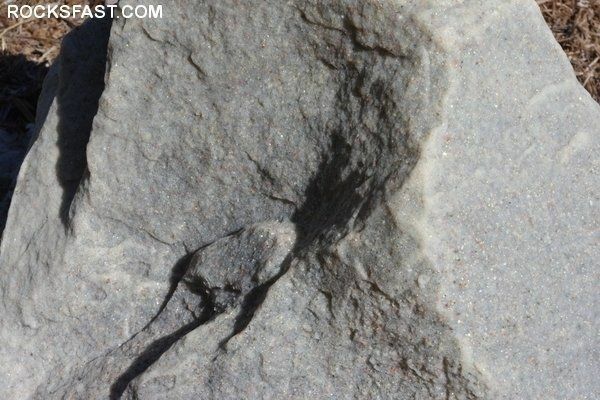 – 1/4″ thick polymer rock walls provide unmatched durability. 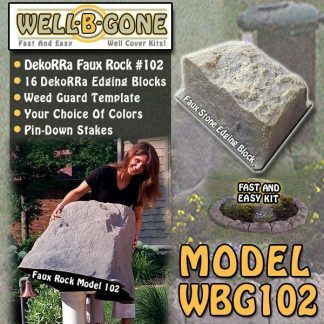 – Durable and “Weed-Wacker” proof tough design. – Ultra U.V. proof design. Will not fade in the sun. – Color, texture, and U.V. inhibitors are molded in (not painted on). – Guaranteed to fool friends and loved ones! 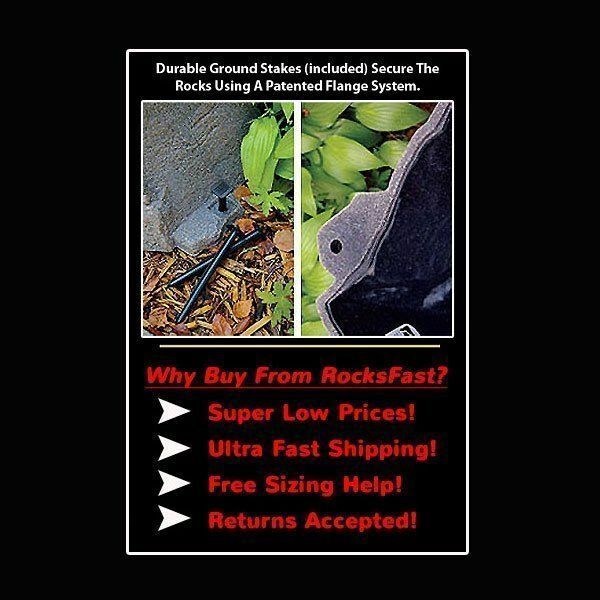 – Sturdy patented staking system fastens rock securely to the ground. 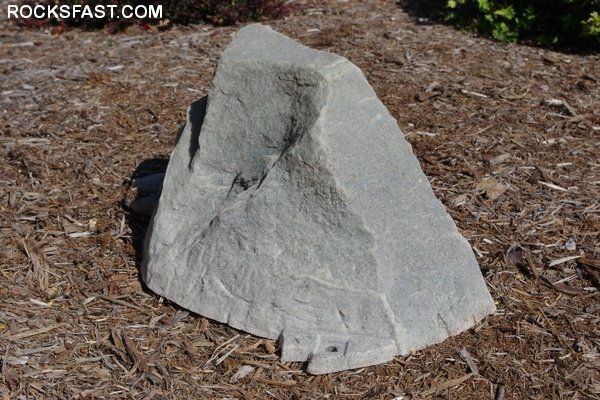 Good looking rock but there’s very little interior room up near the top. I had to return it for a larger one.